Located on the third floor of the Hualiyuan Korean BBQ, the store room of the house known for elegant style in East Asia, filled with typical atmosphere. Bright yellow palace-style chandeliers, rustic mahogany desktop, highlighting the elegant dining environment; and clever well-dining segment, concise style of decoration, but also to make it without losing the warmth and affinity. In particular, the elements to create an atmosphere in South Korea, revealed a rich cultural atmosphere - beautiful, dinner guests seated at the beginning, it is often the environment elegant flowing impressed. 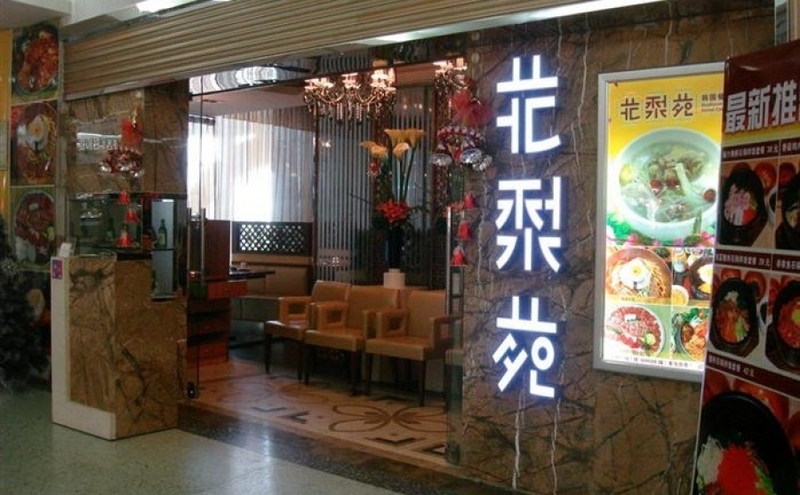 Is a high degree of fit with the elegant mall location of the place for food. Hualiyuan in the "present traditional" basis, to meet consumers' taste buds.